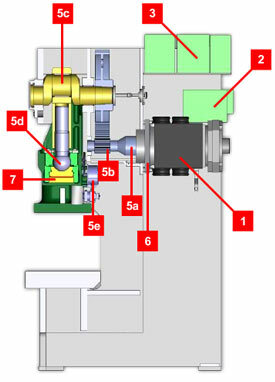 Big Motors. Big Advantage. 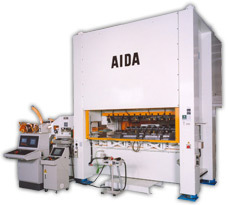 The AIDA DSF-N2 Servo Press uses AIDA's High torque, low RPM servo motors. 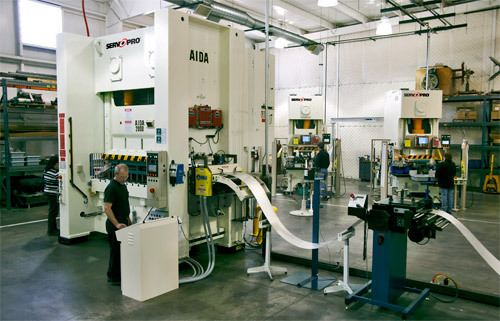 AIDA's direct drive offers the same stroke length and torque rating as a conventional mechanical press while allowing full torque to be used at as little as five strokes a minute. 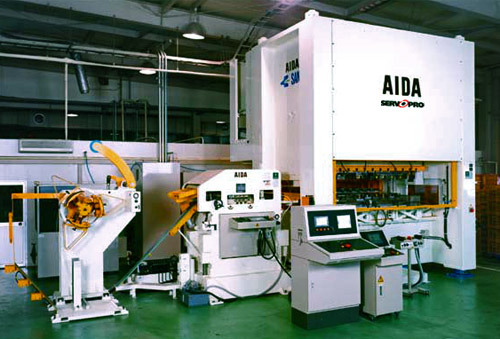 Competitive systems that use low torque motors and complex drive systems cannot match the performance of AIDA's high torque, low RPM servo motor. 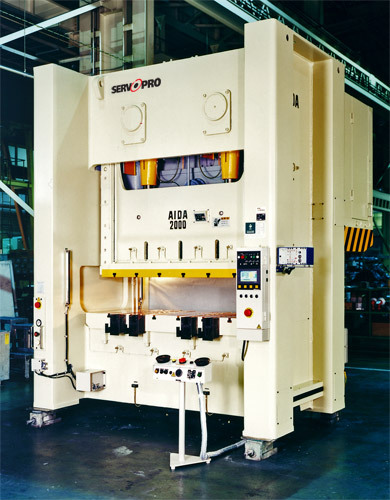 Because capacitors store power in the non-working portion of the stroke, power consumption is comparable to that of a mechanical press. Note 2: Dimensions in parentheses ( ) show the height above the bolster. 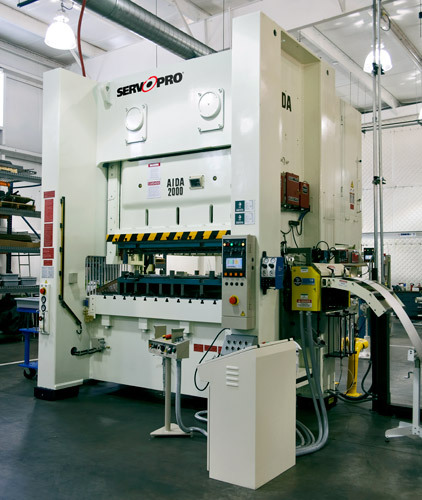 This may differ depending on specifications and options.